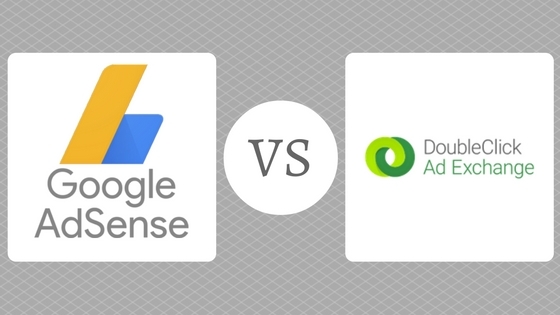 A lot of people want to know the difference— or advantages that either offer — between AdSense and Google Ad Exchange. Well, for starters, Adsense and Google Ad Exchange revenue can be dramatically different. Google Ad Exchange offers many distinct advantages that AdSense alone does not (AdSense actually exists inside the AdX). 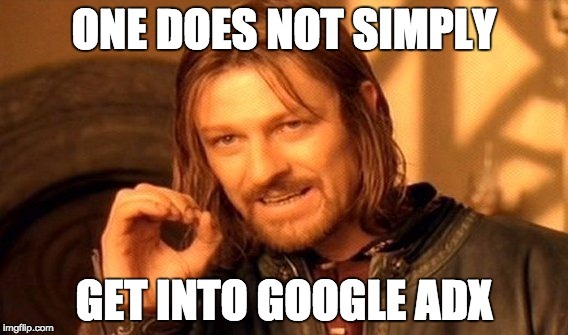 However, getting a Google AdX account is not something that every publisher can do. In this post, we’ll dive into what the Doubleclick Ad Exchange is, how to apply to get a Google Ad Exchange account and the advantages that it offers over AdSense. Signing up for AdSense is fairly simple. Just about any publisher can do it. There are rules and guidelines that Google strictly follows for sites that display AdSense ads actively. If you’ve never applied to AdSense, definitely read these first. Google AdX is a bit different. 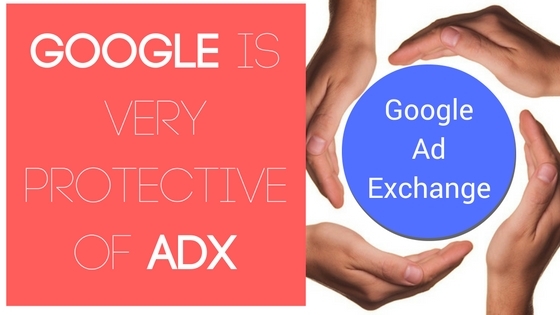 It is a true ad exchange where partners bid over inventory (usually providing better results for sites with ad inventory on these exchanges); however, Google is very protective of their ad exchange — and the impressions ads they serve. Publishers that want to know how to get Google AdX are probably in for a bit of bad news. This is not an option for some publishers unless they work with a Certified Publishing Partner or have a dedicated Google account rep who has offered this as a possibility. Getting a Google Ad Exchange account is not like signing up for AdSense. As a Certifed Google partner, we actually maintain an active Google Ad Exchange account; which allows our platform users access that they may not otherwise be able to get into. If after reading the rest of this article you want to explore life inside Google AdX, try testing out the Ezoic platform. Ezoic is a Google Certified Publishing Partner and one of the rare opportunities for publishers to get into the Doubleclick Ad Exchange without a dedicated Google account manager. There are four main reasons to get started with AdX. First and foremost it is lucrative and is no cost to publishers. It helps you ensure you’re getting a healthy mix of quality competitive ads that will provide great ad earning opportunities. Here, we’ll dive a little deeper into why this is and why smart publishers are interested in AdX. Google Ad Exchange revenue is often higher. First – it’s important to understand why this is. Google’s Doubleclick for Publishers Ad Exchange is Google’s real-time bidding environment for your ad inventory. Each ad is sold in a lightening-fast auction, so you get the best price for every ad you sell via the exchange. This doesn’t mean necessarily Google cpm rates (cost per thousand impressions) are higher, but that doesn’t really matter anyways, it means that advertisers could be potentially bidding more for available inventory. Putting your ads up for auction is a far more efficient method of monetizing ad inventory than the old way of giving all your ads to just one ad network (who would most likely just auction off what they cannot sell themselves anyway). AdSense is undoubtedly the biggest ad network in the world. So having AdSense ads compete for each ad impression (against other advertisers), is better than running AdSense on its own. 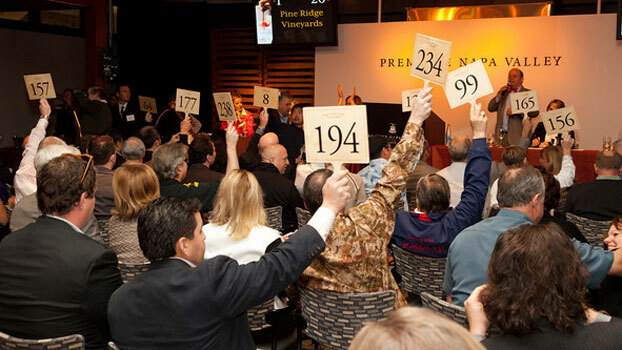 Creating a bidding war for high-value users means you get the right price for your ads and don’t miss out. 2. AdX has no cost & easy to sign up. The Google Ad Exchange — as discussed above — brings everything to bid, so publishers win in the end. The only thing that can make that better is to know that this functionality has no cost for publishers. If you have an AdSense account — it’s easy to apply to Google Ad Exchange if you use the Ezoic ad platform for testing (or even just for DFP)— you can then immediately start testing with Google Ad Exchange ads. Otherwise, you’ll have to be approved by Google; which is difficult if you do not have a dedicated Google account manager already. You can create an Ezoic account for free here. The Google ad exchange — because of it’s size and diversity — gives publishers more flexibility in how they display ads to their visitors. This means that user experiences can be improved more than they could than if the publisher was only using AdSense alone. The ad combinations that users see directly affect things like bounce rate, time on site, and CTR; which all either directly or indirectly affect SEO. It’s not enough to just ‘get an account’ and plug AdX into your site. Getting a DoubleClick Ad Exchange account means managing a dynamic environment that will need to be configured and optimized continually. Using the Ezoic platform, you can access free machine learning tools will help optimize your Google ADX account — and other ad exchanges for display in-line and native ad types — to automatically improve you ad earnings and users experiences. Having better priced (eCPM) ads from ad exchanges like AdX is only half the story. 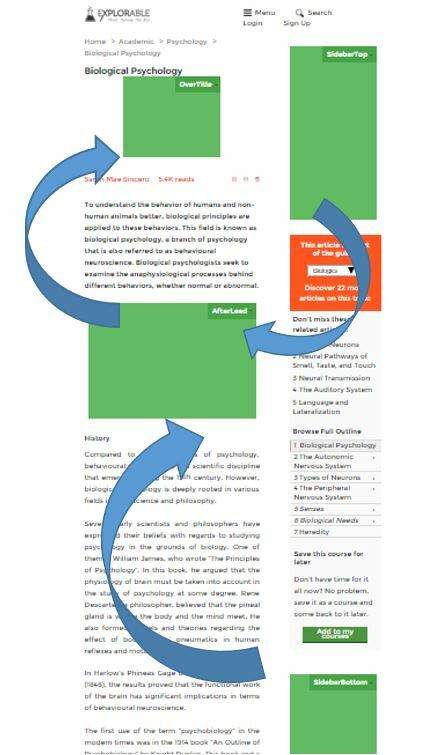 You need to continually test combinations of ads on the page and their effect on user experience. Testing by device size and by ‘session income’ (epmv) to see what works best is best. 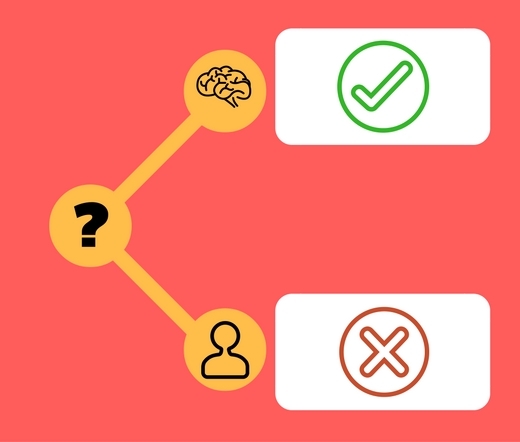 Why test ad positions? We could write a whole article just on this point, but it’s all about revenue per visitor. Many publishers fail to understand that all ads dilute one another. If you overload a site with too many ads, or with miss the fact that one ad is killing the income of another (higher achieving) ad, you will fail to achieve maximum income from the visitors who come to the site. Ultimately, publishers that have read this entire article are probably looking for the easiest way to get into Google’s Ad Exchange and test the waters. AdX offers a greater breadth of opportunities to publishers than AdSense alone. However, it can be intimidating for many publishers. That’s why we’ve brought up Ezoic a few times. It is the easiest way to get started; without messing anything up on your current site. John is the Chief Customer Officer of Ezoic. John was a founding Director of Media Run Group – which founded several online businesses in the mid 2000s (Media Run Search, Media Run Ad Network, and Blowfish Digital Ad Agency). Following the acquisition of Media Run Ad Network by Adknowledge Inc in Oct 2007, John managed the Adknowledge Social Games division in Europe prior to becoming a founding member of Ezoic.